Hensler Farms starts the growing season in April every year. It is a busy time for all of us. The first sweet corn seeds are planted under plastic during the first week of April. 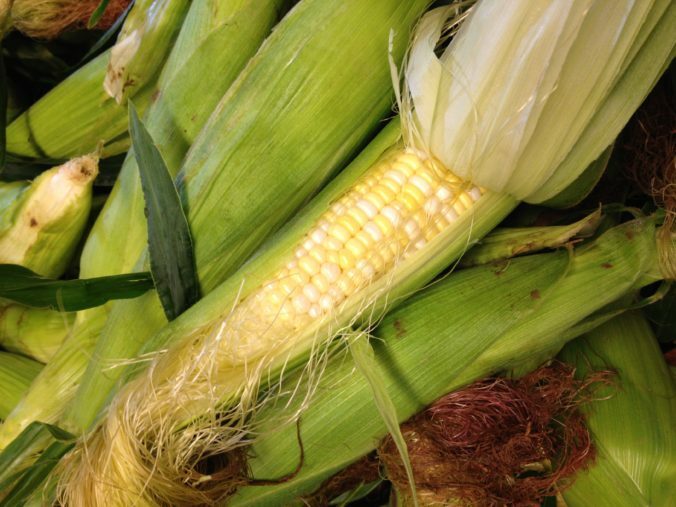 This is the corn you’ll be eating for your 4th of July picnics! All of the bedding plants, hanging baskets and herbs are growing in our greenhouse. It might still be chilly outside, but the plants are warm and toasty inside. Everything will be blooming just in time for Mother’s Day. This starts a very hectic stretch of days when people get the itch to plant. Our CSA gets up and running in May. Those who belong to this group can’t wait for the first boxes of fresh veggies to begin. The freshness and abundance of high quality local food just can’t be beat! The first sweet corn, the 4th of July and the beginning of our summer season all coincide. The beets, lettuce, scallions, and early greens are fresh and plentiful. New Jersey blueberries are back in season and folks are awaiting the first juicy peaches. The long awaited tomato crop kicks into gear in July and runs through the end of September. In August, the farm is busy harvesting peppers eggplant, squash, corn, cabbage and so many other tasty things! By the time school is starting up again the first mums are coming in to replace some of the tired Summer flowers. Vegetables for pickling and canning are available by the basket. As the warm days of Summer fade into Fall we are preparing to begin the autumn harvest. All of the many colors of Winter squash and pumpkins are a joy to see. We offer cornstalks, straw bales, fall flowers and tons of mums to decorate your home. All of the flavors of Fall are in the market also. Crisp apples, sweet cider and delicious pies await our customers. There is a fabulous selection of home decor available to our shoppers. If you need a gift, this is the place! When the winds start flowing colder and the geese are flying high in the sky, it comes time to start putting the farm to rest for the winter. Cover crops are sown and water lines are drained. The farm market closes at the end of October and we settle in for a little Winter’s rest.